It’s been just over a year since the shooting in Las Vegas, and now our nation is in the midst of another mass shooting. Late Wednesday night a gunman opened fire inside a California bar. He shot and killed 12 people before taking his own life. Sheriff Wedding says law enforcement is always evaluating ways to keep the community safer. He says what happened last night took people off guard and so they were probably slower to react. Officials advise to always look for escape routes, such as exits and windows when you are out in public. This way, if an emergency does occur, you know how to get out without being stuck. “I think we have to keep in mind, often, these people who are killing, I think are suffering some type of mental disorders because I wouldn’t think any person with a normal thinking mind could go in and just wipe people out the way these murders are occurring. So I want everybody to understand that we have a huge problem in the United States with untreated mental illness and we need to get a grip on that and hopefully stop some of these senseless killings,” says Sheriff Wedding. 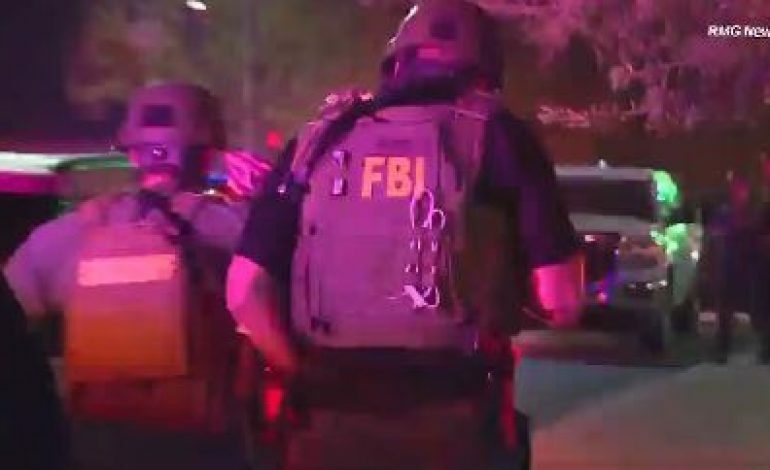 Officials say the gunman in California was a marine who served in Afghanistan and had a history of mental illness. Although health specialists suspected he had post-traumatic stress disorder, they did not consider him to be an immediate danger to himself or society. President Trump and area governors are asking people to fly their flags at half-staff in honor of the victims.